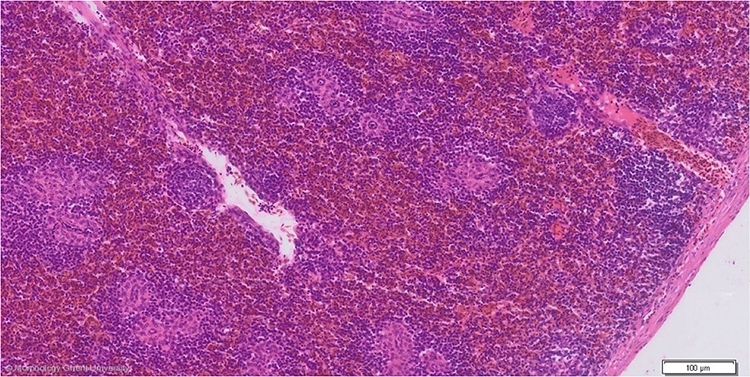 The parenchyma of the spleen is composed of white pulp (pulpa splenica alba) and red pulp (pulpa splenica rubra), in approximately equal proportions. There is no clear transition between both. The spleen is covered by a connective tissue capsule (capsula splenica). Only few connective tissue trabeculae enter the parenchyma.